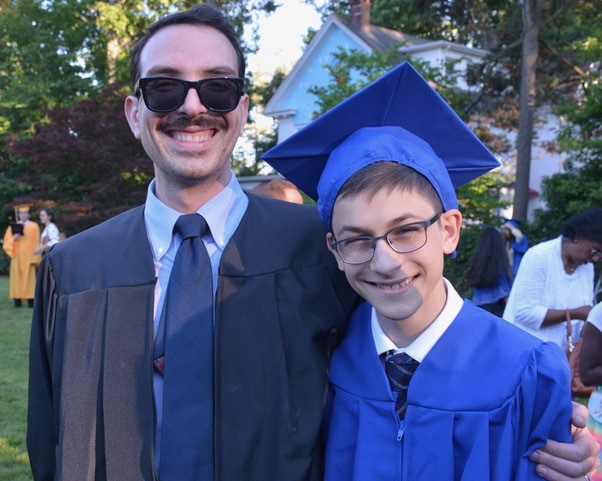 Originally posted on June 24, 2018, “A Past and Present Farewell” is my goodbye message to my current and former students and their families. While I look forward to this new opportunity, I will miss the students and their families – some with whom I’ve worked for eight years. How the time flies when you’re having fun! Originally posted on June 8, 2018, “Words for My Seniors” is the uncut advice I offered the Class of 2018. An abridged version was featured in the back of Thornton-Donovan School’s yearbook. While I originally took the request as an imposition, I realized I had to leave any issues I had with the school at the door. Because none of that has anything to do with the kids. And the kids always deserve better. Thank you for being the quirky and talented individuals you are. For questioning me and my practices. For making me show you why it was important and why I was the best person to teach it to you. Thank you for always challenging me to be the best teacher I could be. Continue demanding – respectfully, of course – the best possible education for yourselves because you deserve it. That, and your parents/guardians are paying for it. Do not accept the advice of anyone who is not worth your trust. And do not simply think someone has your best interests in mind. It is up to you to take a stand and do what’s best for your futures. Because they’re yours and no one else’s. Do not be bystanders because bystanders have no say. Lastly, I want you to know that I’m not leaving because of you. All you need to know and all that really matters is that I stayed because of you. With a heavy heart, I say goodbye for now. However, always remember that I’m just an email away to say hi, to discuss literature or theory, to chat about life – not to have me do the work your English teacher should be doing. ICYMI: Be Humbled, originally posted on May 30, 2018, is my way of taking a step back from all the nonsense of moving and work and people who do not matter and blah, blah, blah to appreciate ALL that I do have. 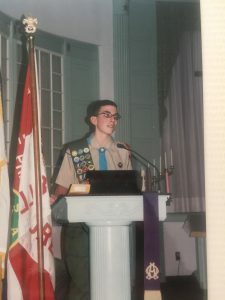 Throwback Thursday: The Last Boy Scout, originally posted on August 7, 2017, reflects fondly on my time in Boy Scouts. This piece also serves as the perfect segue into Father’s Day weekend. Besides all of the lessons I learned and the leadership qualities I gained and the growing up I had to do because of Boy Scouts, I now see how special those years were to me and my father together. Because Boy Scouts was our thing. And that means something as schedules get busier and busier and time continues to dwindle. Make time for the memories and appreciate the moments. It all matters even if you don’t realize it at the time. You will eventually. Happy Father’s Day to all, in particular my Dad. Thanks for getting up early to drive me and other people’s kids upstate, for coming to basketball and baseball games and having to tolerate people who probably sucked, for putting up with the growing pains, and for showing me how to be not just a man, but more importantly a human. In elementary school, I remember friends nudging me to join Cub Scouts. They had weekly meetings, they made fires and played with knives and went camping and did community service. It seemed like the cool thing to do. Kids even wore their uniforms in school sometimes. Addressing the crowd after receiving my Eagle award. Then, in fifth grade, we moved up and became Boy Scouts. I remember crossing over that bridge and thinking I had made it to the promised land where all seemed to grow – the kids, their facial hair, the hikes, the knives, the adventures. And, of course, they all brought the nudey magazines, otherwise known as “bass masters,” to summer camp, so that was a plus too. I was really on a high, strutting my stuff around these older guys that were talking about moves and sensations I could not even fathom at 11 years old. What this one did with this girl by the lake, what the other one did in the wagon, how this feels and that feels. It was a baptism by fire, a coming of age, the corrupting of youth, a rites of passage, a loss of innocence – whatever you want to call it – as I absorbed more dirty jokes about females, the LGBTQ community that wasn’t called it back then, and every culture, ethnicity, and religion you can think of. I was just happy that they let me hang around them and didn’t bully me. Because when you’re younger and they’re older, the greater the likelihood of that happening. Not that it’s right. ICYMI: Get to Reading, originally posted on May 11, 2018, calls ALL to do just that: GET TO READING. Because that’s what the big boys and girls do. And, also, it’s the best way to grow one’s vocabulary and syntax. Trust yourselves and your imaginations. You’ll find the possibilities are boundless when you do. This song by Khalid came on the radio when I was driving up to Thornton-Donovan School at my usual seven a.m. start. 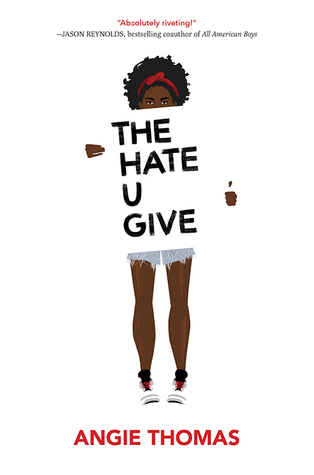 And the chorus really took me: “Yeah, we’re just young, dumb, and broke…But we still got love to give.” I thought at the time that there was something profound in its simplicity, for it so adequately describes high schoolers. Looking at Khalid’s use of “dumb,” I believe his diction conveys that kids are ignorant of their world at first. That’s to be expected, though. As I always tell my students, they sometimes do stupid things like copy a peer’s homework or not put the requisite effort into an assignment or even say something inappropriate for attention. And that’s completely fine; it’s a product of growing up. This process of making mistakes and learning from them is how we turn knowledge into understanding inside and outside of the classroom, assuming they have the proper guidance at home and at school. After all, it is our eternal fallibility that humanizes us. Quite cliché it would be if I instructed the graduating class not to fear failure because, to use a sports analogy, “you miss 100 percent of the shots you do not take.” No, instead what I will say is don’t be afraid to communicate and seek assistance. There is a certain pride you might take in independently solving problems, but that is not always the reality. In the real world, whether that be in college or in your career, you must uncover solutions using your resources. Asking for help is not a crutch, but rather the means to satisfy the requirements of a challenging task. Work together with those whose skills are superior to yours, those who have useful and applicable knowledge to impart on you. If you do not evolve, you will become extinct figuratively – struggle/fail, literally. It’s as simple as that. I lauded Sheryl Sandberg for her speech at the Tsinghua School of Economics & Management commencement in Beijing on June 27, 2015 in “The Graduation Speech You Wish You Had.” It provided such candid wisdom without being a political stump speech or personal edification exercise. However, as a set up for my graduates with whom I share my letter from the school’s yearbook this coming Friday, I give you this spoken-word piece from Baz Luhrmann. Originally written by Mary Schmich for the Chicago Tribune in June 1997, this pretty much sums up what life is all about. If you’re willing to take the time to take a step back and experience it.